It's been a while since I've posted a recipe on the blog so I thought I would show you a quick carrot cake. 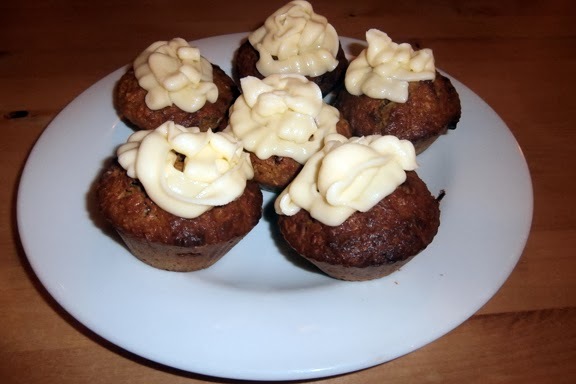 I've made these a few times in the last few weeks and it is delicious- a real classic. I hope you enjoy it and leave some feedback for me. Been feeling lonely since I lost most of my google+ comments. 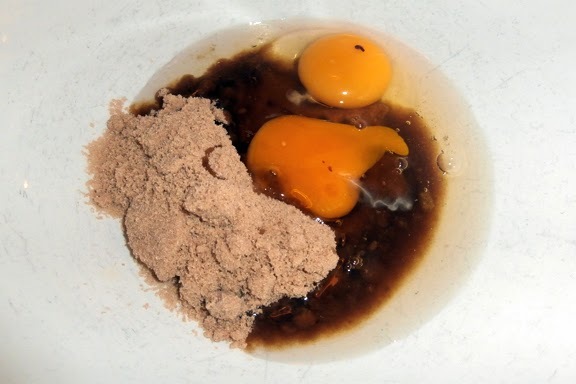 Firstly you've got to beat the sugar and eggs together in a large bowl. Mix them until they are think and creamy- this should take a few minutes. You then mix in the oil slowly until it is all combined. 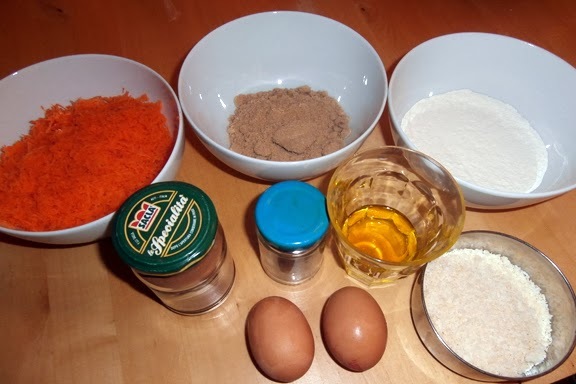 After you've mixed in the oil you combine the rest of the ingredients- carrot, flour, cinnamon, nutmeg and coconut. Once it is well combined spoon the mixture into cake cases- I use silicon ones here but you can use whatever you have. Put them into a pre-heated oven at 190°C for about 20 minutes. To check if they are cooked pierce the middle of the cake with a metal screwer and if it comes out clean they are ready. To make the icing I used 40g of butter softened and 75g of icing sugar. Beat the two ingredients together until they are creamy. For an extra bit of flavour you can add the grated rind of 1/2 an orange. Ice the cakes once they are cooled and enjoy!